From John Allen Muhammad, Maurice Clemmons to Tiger Woods (Buddhist), 23 year old Nigerian national Umar Farouk Abdulmutallab, the so-called “Flight 253 Bomber”, is your latest weekly Black Manchurian Candidate Patsy. They continue to pop up in U.S. military-industrial-medical-congressional domestic Operation Northwoods’ false flag operations with such regularity as sunshine. 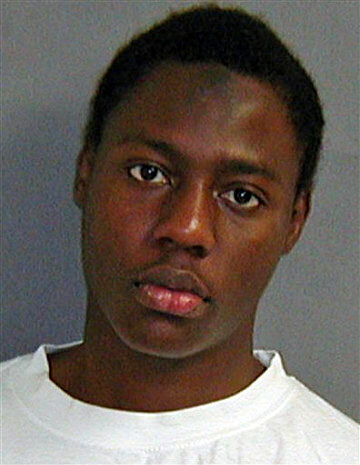 Abdulmutallab had 80 grams of PETN sewn into his dirty drawers. It is roughly the equivalent of ten blasting caps or 4 Hollywood type blood pack squibs just enough to blow his balls off let along bring down an airplane. It had just enough flash to continually dash this country into a high security state like something out of Nazi Germany. Of course, Abdulmutallab had a multi-entry visa issued out of the U.S. State Department Embassy/CIA in London. He didn’t have a passport, but was lead upon the plane like a mind controlled pasty that he was by a well dressed man of Indian descent. The man has been identified as David Headley, a CIA double agent. Headley, allegedly a rouge secret agent, was implicated in the Mumbai false flag operation. Both Headley and Abdulmatallab were detained at the Detroit Airport after the incident, yet Headley has deliberately been disappeared without explanation. Abdulmutallab’s Flight 253 originated out of Schiphol International Airport, Amsterdam. Airport security at Schipol International is managed by ICTS security (International Consultants on Targeted Security). Agree 100% — later, rinse, repeat.